If you’re looking for a workout machine that will be solid, reliable and yield the results you desire, the XTERRA Free Style 5.6e is the perfect elliptical for you. With a fixed 20” stride length, this is a machine that is perfect for heavier, taller users as well as consumers with a smaller to average stature. A two-degree incline of the pedals makes your workout easy on the knees, allowing for a comfortable and injury minimized workout. Other features of this particular machine are it’s 375 pound weight capacity, easy assembly, 7 preset workout programs, 2 custom programs with manual option, built-in cooling fan, heart rate pulse grips and chest strap compatability, 20 levels of resistance, 20 levels of incline, 25 pound flywheel weight system for a solid, smooth ride, MP3 compatibility, large LCD screen and an impressive lifetime warrany on the brakes and frame. This option also boasts a 60 day money back guarantee and free shipping if bought from their website. 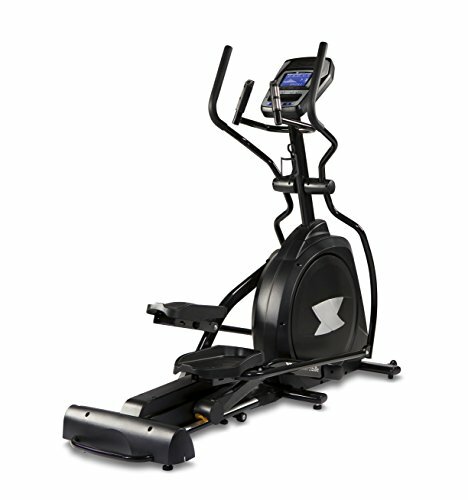 With a price tag of less than $1,000, the XTERRA Free Style 5.6e Elliptical is sure to please both consumers and trainers alike.